I want to Keep It Sweet and Simple with this post…I’ve gotten in over my head by taking on teaching the undergrad course along with a full-time job, three kids, and a husband. But, I do have some interesting things going on. I came across an interesting folder last spring regarding writing your SLO in terms of looking at the math practices. I plan on writing my SLO in this way because I believe it’s more meaningful for instruction. We are going to discuss it at our department meeting…I think several in my department are on board with trying to figure out how this might be done. Hopefully I’ll be able to post a follow up. 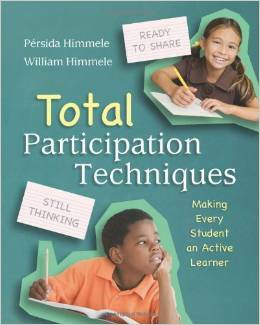 Our book study bundle of Powerful Problem Solving came in (our PTSA purchased this for us). I’ll disperse those on Monday…and we can begin digging in. I’m going in to an 8th grade classroom tomorrow to introduce Pythagorean in 3D. I thought this lesson from Yummy Math was a good intro. I created my own worksheet to go with it because I want to see if the students can visualize the scenario and come up with the important information needed to solve the problem. 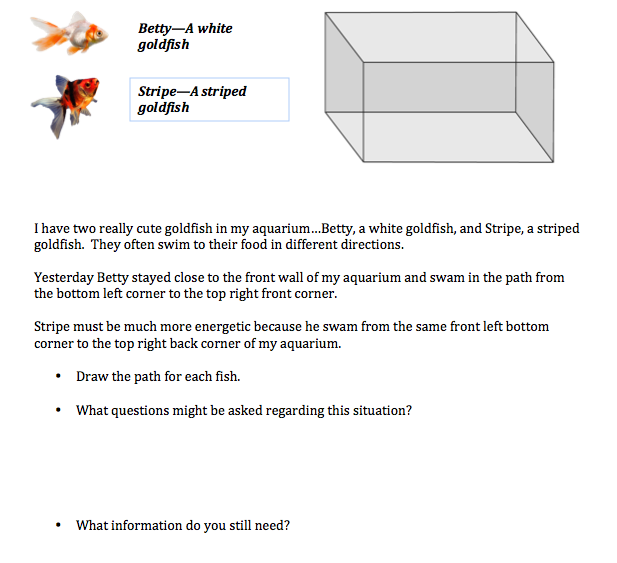 I’m taking the online Math Forum class–Looking at Student Work. It began this week…I can’t wait to learn from the others that are taking this course. I also think it will fit in nicely with writing SLOs in terms of looking at the Math Practices. Another Sunday…another summary for the #MTBoSChallenge! Students returned to school on Wednesday, but the week began with district-wide, pre-service professional development by content area. Monday was the district-wide professional development for secondary math (grades 6 – 12). As part of the professional learning experience provided for the teachers, I created this Thinglink that allowed the teachers to work through at their own pace, based on their own needs. This was out of ordinary for professional development in our district–and I was incredibly nervous about how it would be received. There are opportunities for feedback built in to the Thinglink…I was ecstatic to find that most of the feedback was extremely positive! A big thank you to @Algebrasfriend for encouraging me to move forward with my idea for providing a professional learning experience in this format…as well as for providing me great feedback for refining some of the rough edges! I began to work on my schedule for providing support in my building. I will be mentoring a returning teacher that is teaching all of our 8th grade Algebra 1 courses. So, I have made being in her first period class part of my day. She has 2nd period planning, so we are able to reflect and revise rather easily and determine if there needs to be any adjustments for the rest of the day. I also know for sure that I will be co-teaching a 90-minute 7th grade class as well, in order to meet the needs of the students with special needs in the class. Our district has adopted a new model for students that have to serve in-school suspension. One 45 minute period of my day (each period of the day is covered by certified teachers) will be working with any student(s) that have been in school suspended. My role will be to help them complete any of the work that they missed due to being removed from class. I am also looking into creating some math file folder activities to pull, in addition to creating a Google site where students are linked directly to games for math practice. When I went in to work with a student this week, I used the Thinking Blocks site to help model some of the fraction problems that needed to be completed. I REALLY need to add more problems to this site for each grade level. As the resource teacher for the building, I’m trying to keep track of the great tasks, lessons, activities that the teachers in my building are using to build instruction. I want to pay close attention to the sequencing and the pacing. I’d like to build an in-house resource so that we aren’t constantly saying “What activity did we use for…. ?” and then have to recreate the wheel. I’ve decided to continue on this journey of blogging more because I really see the value in it. I’ve joined a new challenge (who doesn’t need motivation, right? )…and we’ve decided to stay connected on Twitter using #MTBoSChallenge. As an Instructional Resource Teacher (IRT), I will approach each challenge with a different lens than if I was still in my own classroom. We started back to school this past Thursday…but, honestly, my mind never leaves work behind. We only have two days in as teachers so far…with students returning on Wednesday. I’m attempting to implement the Lesson Study process with the teachers in our 7th grade. There are 5 of us on the team…4 general education teachers, 1 special education teacher, and myself. I believe it will be an extension of the work that we’ve been doing…we will just hopefully dig a little deeper. I’d like to implement #myfavorite at our monthly department meetings. I stole this idea from the #MTBoS …Teachers do so many things that are great and they just don’t realize it b/c they are locked in their own room. I’m hoping this fosters sharing and collaboration…but most importantly provides an opportunity for each person to see that they do have something to contribute to our community. I’m hoping to bring some of the great educational technologies into the math classroom~Desmos, Thinglink, Plickers, Aurasma, Padlet~just to name a few. Providing really strong qualitative feedback to students…and supporting teachers as they do this. It’s a lot of work…so I’m going to be on a mission to figure out how I can help to streamline this process. Having time to get it all done. I probably need to prioritize a bit better…still a work in progress. Well…so much for keeping up with this challenge!!! I have 19 more posts to make the 31 needed for July and only 10 more days to do it… YIKES! The other day I noticed that @druinok and @pamjwilson were discussing this book. Complete the Three 3’s in a Row template by creating nine questions based on the content being learned. Students should summarize their classmates’ responses in the appropriate box – Don’t let students write in each other’s template or you’ll end up with a passive game of pass-the-paper. Only the owner of the template writes on the template. Students should repeat this process of finding classmates to answer questions. Students may not use a classmate to answer more than one question. If you do a quick Google search…you can find some decent PPts highlighting many of the books techniques, like this one here.